Rodents include species that have colonized almost every available habitat on earth, and others that have adapted to human beings and followed them as they also spread across the globe. 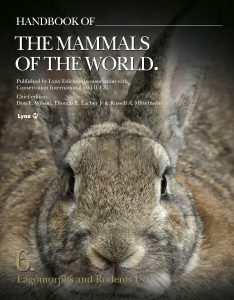 Volume 7 completes the order Rodentia—which represents arguably the most important order of mammals, both in terms of number of species, and in geographic distribution—covering the families contained in the suborder Myomorpha, including the two largest families, Cricetidae and Muridae. Rats and mice and their relatives in the order Rodentia make up almost half of the species of mammals. Because of this, we polled our readers and the overwhelming positive response was to produce two volumes treating Rodents. Volume 6 will include all of the families of rodents other than Cricetidae and Muridae, plus the order Lagomorpha, which includes rabbits and pikas. This radiation includes some 35 families, which have spread around the globe, occupying every continent except Antarctica, and countless islands in all major oceans. As usual, the text includes up-to-date information on every species, and each species is illustrated. Each family account includes color photographs documenting a variety of behaviors of these diverse and interesting mammals. This volume also includes a Special Chapter: An overview of rodents, including chapters on morphology, taxonomy, and evolutionary history; why rodents are studied; and tools for studying them. Lagomorphs and Rodents are divided into two volumes, in order to include maximum information and illustrations, as in previous HMW volumes: Volume 6: Lagomorphs and Rodents I and Volume 7: Rodents II. The rat has been described as the shadow of the human. From ancient times it spread via the routes of commerce and conquest to eventually inhabit almost every part of the world. Its impact on history has been enormous in terms of the damage done through plague and disease, the destruction of agricultural produce, and the infestations of cities. At the same time the rat has provided science with a huge resource for experimentation. This highly adaptable, fertile and intelligent creature is almost universally loathed, but there are cultures in which it is revered, even deified. This book traces the history of the human relationship with rats from the first archaeological finds to the genetically engineered rats of the present day, describing its role in the arts and sciences, religion and myth, psychoanalysis and medicine. The author includes wide-ranging examples of the rat’s appearance: in literature – The Pied Piper; Beatrix Potter stories, The Wind in the Willows; in culture –- Victorian rat-and-dog baiting pits, its popularity as a pet, even the subject of a ’70s pop song; folklore – it was a good luck symbol in ancient Rome, symbol of cunning in Chinese mythology; and psychoanalysis – Freud’s Rat Man, for example. The book also seeks to answer two problems raised by the complexity of human attitudes to the rat. The first concerns how it was that the rat came to be seen not just as verminous, but also as being particularly despised for being so – more so, in fact, than other parasitic animals. The second concerns the manner in which human attitudes to the rat can be so contradictory, when admiration for its abilities are set against this idea of hatred. The rat can be found at the heart of human preoccupations with hygiene, sexuality and appetite, and exists as a perverse totem for the worst excesses of human behaviour. 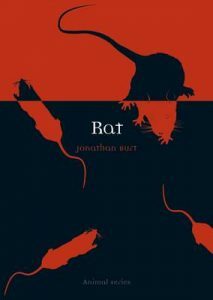 In Rat, Jonathan Burt provides a fascinating account of this animal in history, myth and culture. How did rodent outbreaks in Germany help to end World War I? What caused the destructive outbreak of rodents in Oregon and California in the late 1950s, the large population outbreak of lemmings in Scandinavia in 2010, and the great abundance of field mice in Scotland in the spring of 2011? 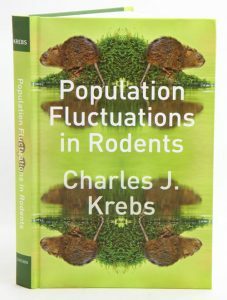 Population fluctuations, or outbreaks, of rodents constitute one of the classic problems of animal ecology, and in “Population Fluctuations in Rodents”, Charles J. Krebs sifts through the last eighty years of research to draw out exactly what we know about rodent outbreaks and what should be the agenda for future research. 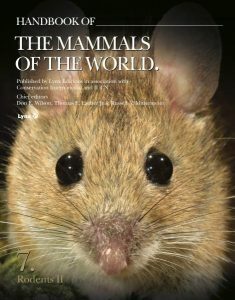 Krebs has synthesized the research in this area, focusing mainly on the voles and lemmings of the Northern Hemisphere – his primary area of expertise – but also referring to the literature on rats and mice. He covers the patterns of changes in reproduction and mortality and the mechanisms that cause these changes – including predation, disease, food shortage, and social behaviour – and discusses how landscapes can affect population changes, methodically presenting the hypotheses related to each topic before determining whether or not the data supports them. He ends on an expansive note, by turning his gaze outward and discussing how the research on rodent populations can apply to other terrestrial mammals. Geared toward advanced undergraduates, graduate students, and practicing ecologists interested in rodent population studies, this book will also appeal to researchers seeking to manage rodent populations and to understand outbreaks in both natural and urban settings – or, conversely, to protect endangered species. Rodent societies: an ecological and evolutionary perspective. Artist/Author: Wolff, Jerry O. and Paul W. Sherman. Integrates the state of knowledge about the social behavior of rodents, providing ecological and evolutionary contexts for understanding their societies and highlighting conservation and management strategies to preserve them. 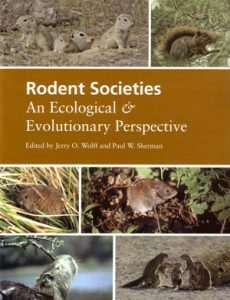 This title begins with a summary of the evolution, phylogeny, and biogeography of social and nonsocial rodents. Also available in hardcover, POA. 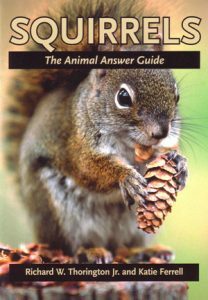 Squirrels: the animal answer guide. Artist/Author: Thorington Jr, Richard W. and Katie Ferrell. There are 278 species of squirrels native in all continents except Australia and Antarctica. This book covers every aspect of this diverse animal family, from the first squirrels of 36 million years ago to the present day. The question-and-answer format is accompanied by over one hundred photographs. 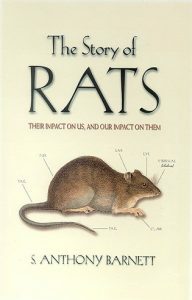 The story of rats: their impact on us, and our impact on them. Are rats still a threat to our health and food? Do they think? Is it true that wild rats sometimes die, unwounded, from social stress? Can studies of rat societies tell us anything useful about our own social lives? Love them or loathe them, everyone has a rat story. Throughout history vast numbers of rats of many species have shared our space, our food and our diseases; and they continue to do so.